This entry was posted on February 2, 2010 at 7:02 pm and is filed under Thinkscript. You can follow any responses to this entry through the RSS 2.0 feed. You can leave a response, or trackback from your own site. could you make a set of pivots using high, low, close, for N previous bars ? where the input would be the number of bars ? this way any pivot could made for any time frame. i am currently using a 3 bar pivot indicator which i ripped off from a 3 day pivot indicator. i love it. but i would like to be able to do more or less bars. 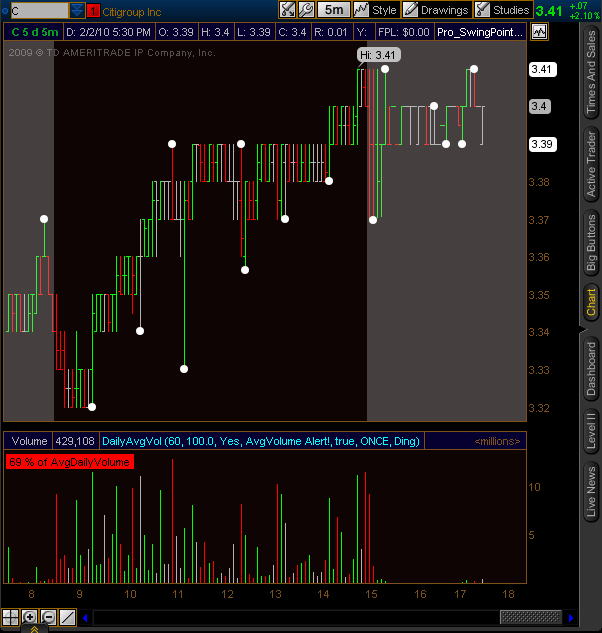 so that i could see larger time frame pivots on lower time charts. 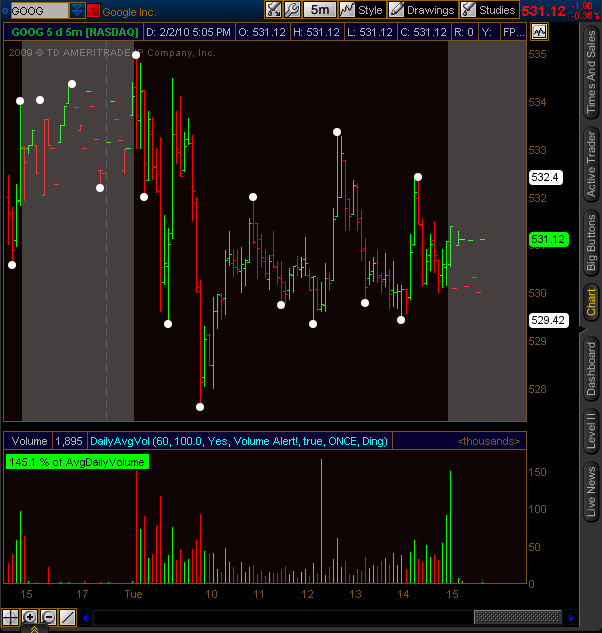 for example, if i had a 6 bar pivot calc, i could see the 3 bar pivots from my 30 min chart, see them on the 15 min chart. not sure if this helps cut some code but I use this code to display volumes on my charts. this gives avg vol for 10 days.